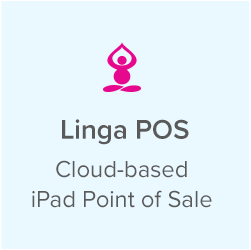 Set your restaurant up for success with an all-in-one POS system. 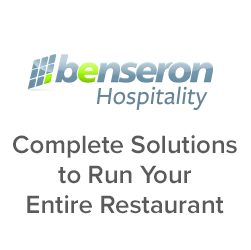 Bevo POS helps restaurants maximize their overall profitability. Owning a restaurant means a commitment to long hours, impeccable multi-tasking skills and maybe even a little bit of psychic forethought. If there’s anything that restaurant owners appreciate, it’s technology that makes their lives just a little less stressful. These hard-working business owners want to be able to rely on their software systems to operate flawlessly, so that they can focus on their restaurants. After all, when the ingredients work well together in a recipe, you end up with a masterpiece. 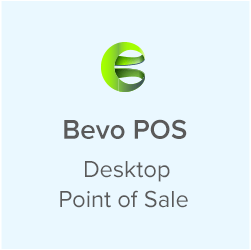 Bevo POS, a leader in the development of restaurant POS systems is the first hybrid, fully redundant (no downtime), cross-platform POS system in the industry. As the ultimate restaurant point of sale software solution designed for the high-pressure demands of restaurant owners, Bevo is a masterful restaurant POS that is simple, flexible, secure, EMV integrated, cloud ready, redundant, mobile, robust, efficient, customizable, and economical. Bevo POS: Manage. Profit. Grow. Check status view allows servers and managers to track any number of tables. 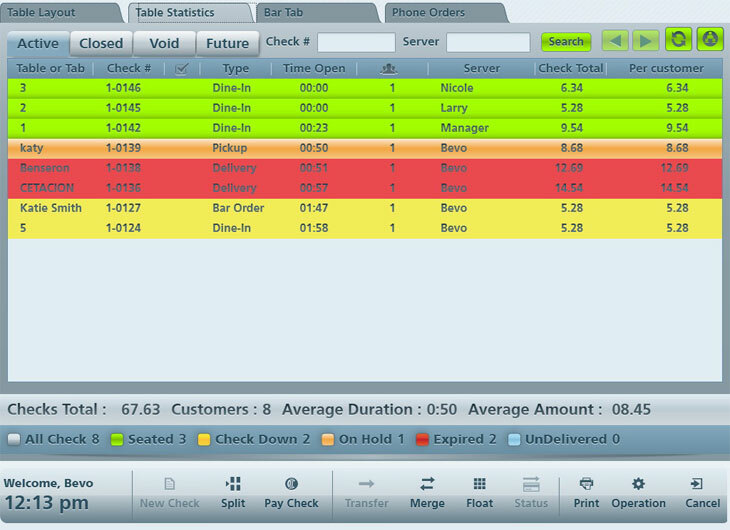 Color coding makes it easy to reduce turnover time and increase revenue. Bevo restaurant POS system is available as a fully-loaded, modern POS terminal, Bevo Charisma. The system offers the most exhaustive list of data analytics ever seen in a POS system. From specific details about employee performance to vital customer information, Bevo analytics offer restaurant owners an unprecedented depth and fine details of the operation so they can see where they are making and losing money. 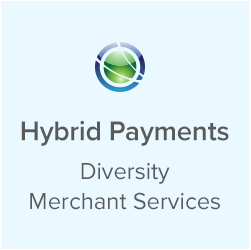 It is also integrated with online ordering, gift cards, smart phone apps and your accounting software. In response to the liability for counterfeit credit card transactions shifting to business owners in October 2015, Bevo POS will be ready to take EMV cards table side before the liability shift happens. Currently, Bevo POS is totally integrated with EMV, NFC and Apple Pay on its Charisma POS System. 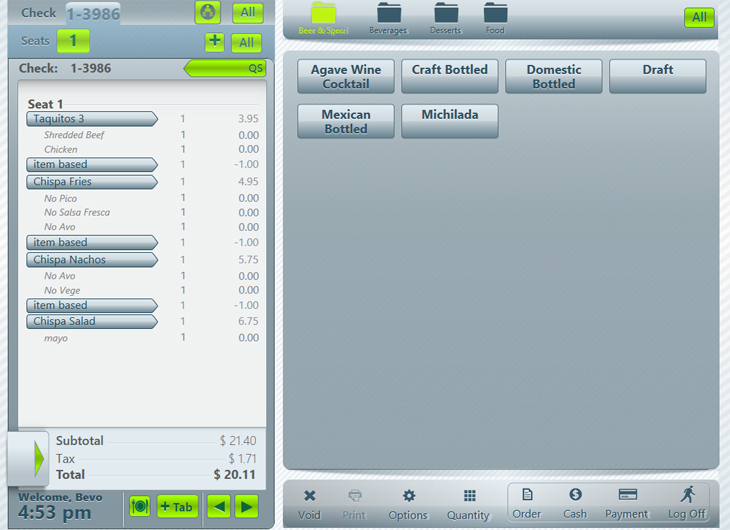 The timed event feature in BevoPOS makes for easy processing for happy hour and special events. 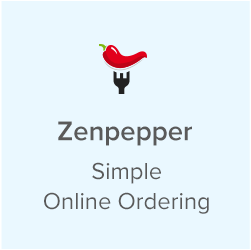 With over 90 comprehensive reports and advanced service integration possibilities, Bevo POS offers real-time reporting and online ordering to create business management capabilities that enrich your restaurant software beyond the standard restaurant POS. Bevo POS: Manage. Profit. Grow. Splitting checks is simple and easy with BevoPOS. 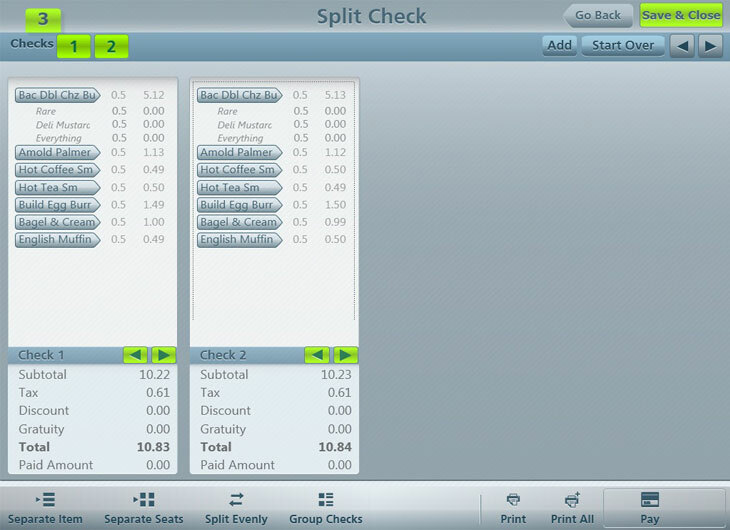 Checks can be split by item, by seat, split evenly, or even split into custom groups – within seconds. Bevo POS technical support is available 24/7 via phone and email for your convenience, and includes over-night “Hot Swap” system replacement if necessary. Our support is offered with unprecedented service standards that is provided by our full-time software development team who designed Bevo POS.